Typically when a new Android statue arrives on Google’s campus, it’s coupled with an official announcement of the new version of Android. 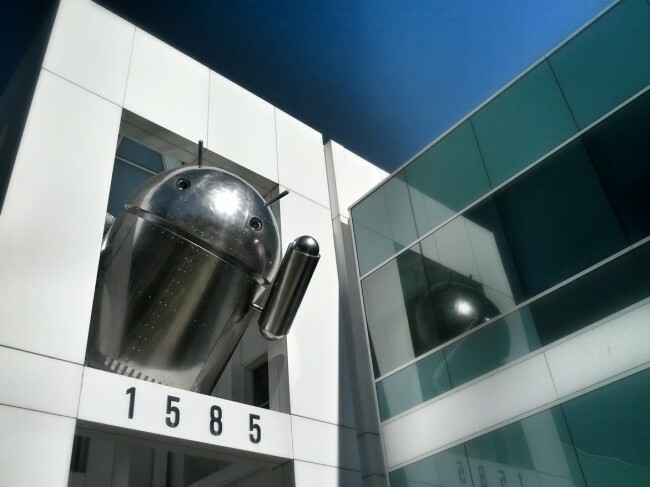 We’ve seen the Jelly Bean statue as it arrives, the Ice Cream Sandwich, Honeycomb, Gingerbread, and Froyo statues too, all around the time that the Android team drops new code on us. Today’s statue included no such party, though the Android community manager that posted it sure teased the hell out of us. The above pictured was posted to G+ this afternoon with the quote “A new version of Android has been released!” So not fair. As you can see, the statue is of Bugdroid as a fully chromed out beast. Does that mean that Chrome and Android are finally joining forces! Uhhh, probably not, at least for now. It’s more than likely just a really cool metal Android statue that we all wish was on our front lawn. Google is a sneaky bunch, though, so who knows what the future may bring. It’s attached to building 45 if you are in the neighborhood and want to check it out.